Celtic will host a mini-festival in July aimed at celebrating the club. The three-day event, held at Glasgow’s SEC, will take place on July 26 - 28, and has been named the “Celtic FC Festival”. Hoops fans heading along to the festival will be able to take part in football activities such as crossbar and penalty challenges, as well as head tennis and football darts. 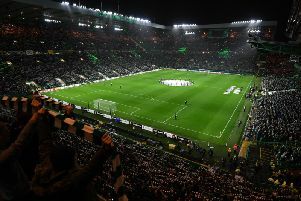 An on-site Celtic superstore will let fans buy all three 2019/20 kits, with the exclusive launch of next campaign’s third strip taking place during the festival. A number of legends are being lined up for personal appearances to look back on their time with the club while a theatre show titled “If You Know The History” will chart the club’s rise from its 1888 beginnings to the present dya. The club will have a selection of trophies on display, including the European Cup, while Academy coaches will run training sessions on specially-constructed pitches. Celtic and Scotland midfielder Callum McGregor, helping to launch the festival, said: “Our fans are everything to us and we are sure this Festival in July will be something they will really enjoy.